Three of David Zeiger's films and the landmark PBS series, Senior Year, are now--for the first time--available on DVD from Displaced Films and at Amazon.com. His personal journey through a year in his son's high school marching band, broadcast on the PBS series, P.O.V. A meditation on life with a group of hilarious and insightful octogenarian TV comedy writers, broadcast on HBO. A visit with the burgeoning new immigrant communities in Georgia. Twelve students at Los Angeles' most diverse high school take you with them through their momentous senior year. A ground breaking PBS series. Every film that I make, whatever the subject, has one key goal in mind: to tell a good story. To that end, all I can do is rely on my own experience and emotions. Whether they tell a personal story or examine a buried moment in history, I aim to make films that I would want to see--and I hope you do too. Enjoy! The series you've been waiting for is here! The full series is now on line. Join the network and spread the word! When an American bombing raid this May killed over two hundred civilians in a village in Afghanistan, it was met with a deafening silence. When Obama's promised "withdrawal" from Iraq leaves 130,000 troops there for at least two more years and 50,000 permanently, it's hailed as an end to the occupation. And who is demanding to know just what the mission really is when 30,000 more troops are sent to Afghanistan? 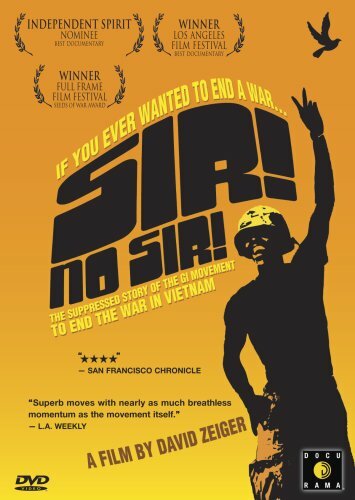 tells the long suppressed story of the GI movement to end the war in Vietnam. This is the story of one of the most vibrant and widespread upheavals of the 1960’s- one that had a profound impact on American society yet has been virtually obliterated from the collective memory of that time.